Abstract: This research focuses on developing a fast low-order theoretical method for predicting unsteady airfoil aerodynamics. The method is coupled with a structural model to study limit cycle oscillations in aeroelastic systems. The theory is also augmented using information from experiments to model the influence of upstream wakes on a downstream unsteady airfoil. 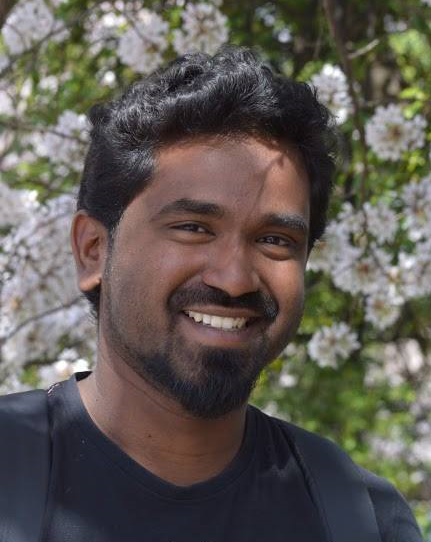 Biography: Vishnu earned his Bachelor of Technology in Aerospace Engineering from Amrita University, India, in 2011 and Master of Engineering in Aerospace Engineering from Indian Institute of Science in 2013. He joined North Carolina State University in 2014 to pursue a PhD in Aerospace Engineering, where he became a part of the Applied Aerodynamics Group led by Prof. Ashok Gopalarathnam. His research interests include unsteady aerodynamics, vortex dynamics, and nonlinear aeroelasticity.